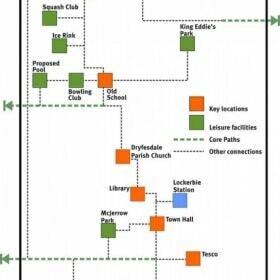 This Community Action Plan was commissioned by Lockerbie Community Council to support community-led activity aimed at improving the Lockerbie area as a place in which to live, work and visit. Following a public meeting in November 2016, a steering group was established comprising a number of Community Councillors and other local residents. An independent team, led by Nick Wright Planning with WMUD and Icecream Architecture, was then commissioned to prepare this Plan. 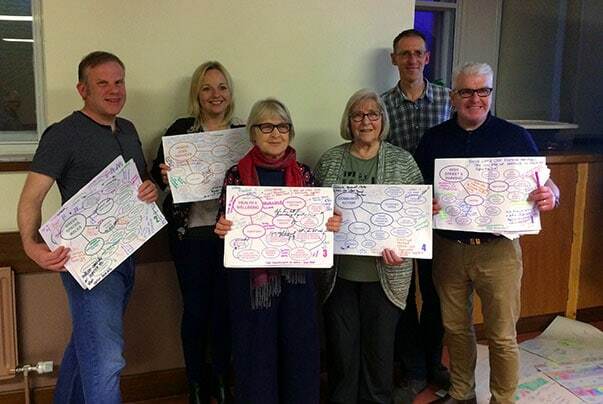 The steering group was clear that the content of the Plan should be based on engagement with the local community and should be seen as belonging to the local community as it will be their energy and enthusiasm that will turn it into reality. 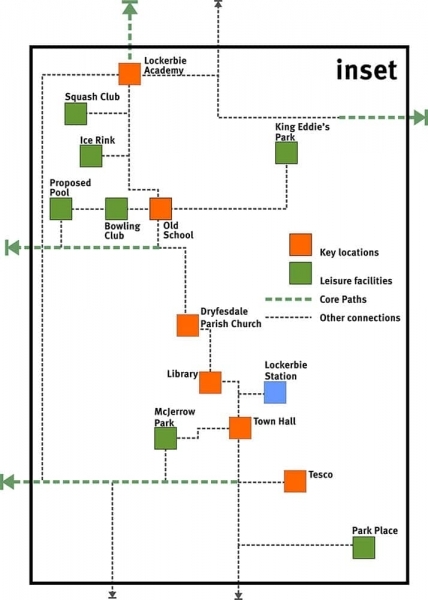 This Community Action Plan is a flexible framework to guide collaborative action by all who have Lockerbie’s interests at heart: residents, community groups, businesses, the local authority, Community Planning partners, landowners, developers and other agencies. The plan contains the local community’s vision of what their community should be like in 10 years’ time, together with priority actions to get there. The vision and actions are based on the local own communities’ aspirations, gleaned through engagement with local people during spring 2017. (Read about a similar example at Moffat and Beattock here). 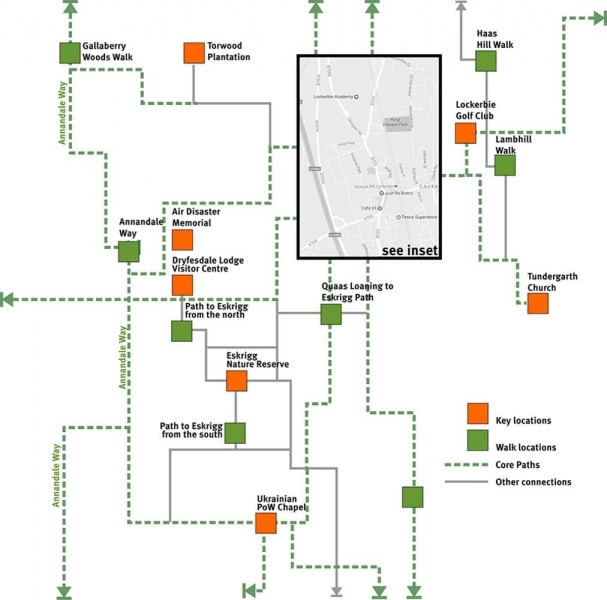 Preparation of this Plan was triggered by the likely availability of ‘community benefit’ funds from possible future wind farms in the area around Lockerbie over the coming decades. Other sources of public and private sector investment funding may also be available in the future. The Plan is not simply about money, however. It should also be of use to public services and others to inform how they deliver services and decide policy in the future, from health care to public transport and land-use planning. 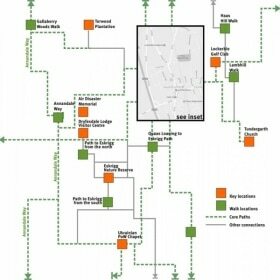 The Plan is designed to guide not only investment but also public sector decision-making affecting Lockerbie in the future. 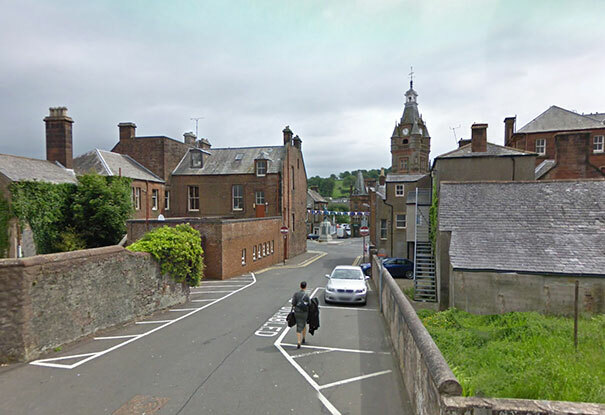 Its aim is to help the public, private and third sector understand how best to act in Lockerbie for the good of the community, as well as acting as a support for the community itself to access funds. It has been prepared at a time of increasing political desire to empower communities and increase the impact of limited public spending – a changing context which creates opportunities for the local community and Community Planning partners to work together for better effect. Importantly, the Plan is also about how people and organisations work together for common cause. Delivering the vision outlined in this Community Action Plan will not be achieved by one organisation on its own. It will require collaborative action by residents, community groups, businesses, landowners, the local authority and other public / third sector agencies – in other words, everyone who has an interest in the future of the town, working together in genuine partnership. How was the Plan prepared? This first stage built an understanding of what it is like to live, work in and visit the town; the patterns of community, business and public sector activity; and their aspirations for the future. 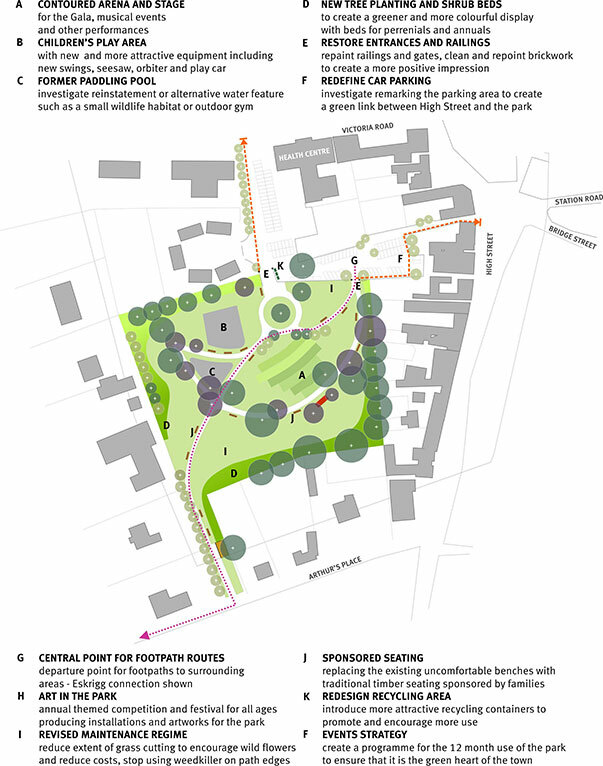 The team also undertook socio-economic research, desk research and site visits to understand how Lockerbie has developed over time, current and recent plans and projects (including the 2013 Regeneration Masterplan, the Local Development Plan and other strategic documents), and particular opportunities or constraints in relation to community aspirations. We also contacted local authority and Community Planning Partnership. These discussions covered planning, transport, community planning, housing, health and social care. Stage 2 of the work programme brought together these various strands at a community workshop on 2 May 2017. This was promoted through flyers, Facebook, email circulation and word-of-mouth. Approximately 60 people participated in the workshop. Those involved said the turnout was excellent for Lockerbie. The event drew together the work carried out during stage 1 and was an opportunity for local people to come together and explore the future of their community. It consisted of a combination of presentations and interactive discussions. This ‘testing’ was carried out in group discussions during the workshop, which produced a number of annotated sheets. These were posted on Facebook so those who could not come to the workshop could see and comment online. As a result of the workshop, a number of changes and additions were made to the draft themes and actions. The final vision and actions are brought together in the Community Action Plan. 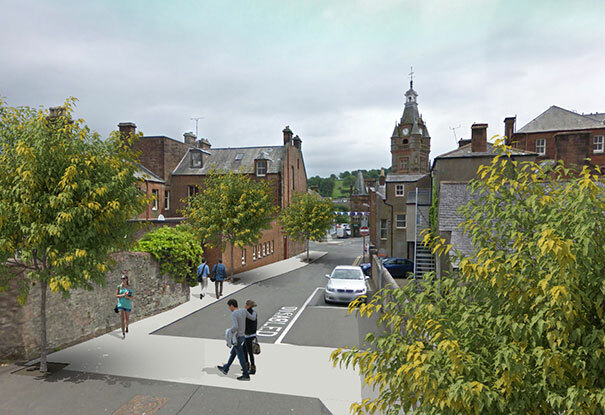 improving the appearance of Tower Buildings, Bridge Street and Caledonian Place, including reuse of vacant properties. (A popular idea amongst the local community is space for local producers, both food and crafts.) Overall, this action could be pursued through Conservation Area status or other regeneration initiatives. Lockerbie enjoys plenty of opportunities for sport and outdoor recreation, all of which contribute to individual health and well-being as well as to the town’s sense of community. Local organisations want to improve what they provide – from the Mids football club and Lockerbie Wildlife Trust to the long-standing ambition of a swimming pool. All of these ventures should be supported in their aspirations, particularly to provide more opportunities for younger people. Lockerbie is a busy, growing commercial town. Its excellent transport links and busy local economy mean that it is an excellent place for businesses and people to locate. Keeping sufficient supply of jobs and homes will be vital for the town’s continued prosperity. People are keen to have more choice of housing and jobs. At the same time, residents need services – so it is vital in maintaining the quality of education, healthcare and transport as the town grows. Although some complain that the local community is apathetic, the reality is that the voluntary sector does a lot. But the huge challenges of securing funding, permissions and volunteers mean that too much pressure is placed on too few people. More resources are needed. Money is a part of that, but access to expertise and space is also important.